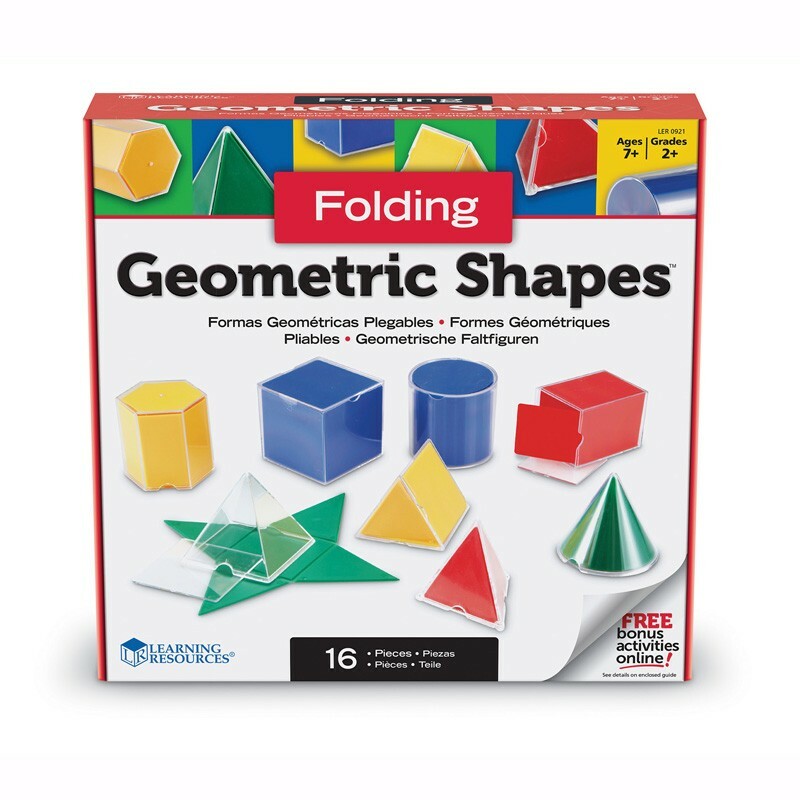 Teach symmetry, perimeter, area, surface area and volume with this innovative folding geometric shape set. Each shape folds flat, making it possible to illustrate a 3-dimensional shape's 2-dimensional properties. Includes cylinder, square pyramid, cube, rectangular prism, cone, hexagonal prism, triangular pyramid and triangular prism with clear plastic casings.